A platoon of 32 nicely-detailed plastic toy soldiers. 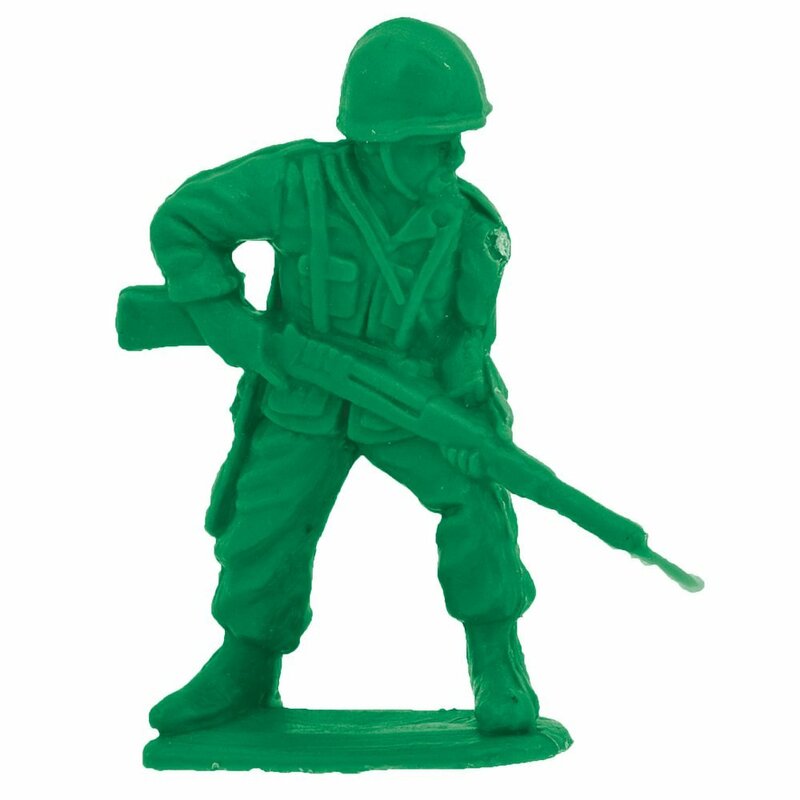 Evoking childhood memories for many, the green soldiers are in assorted poses and carry all manner of military paraphernalia. Sure to inspire hours of play in today’s children – just like they did with their parents and grandparents. This great value product comes with a khaki-coloured, drawstring storage bag. Each box contains an assortment of at least eight different soldiers.